Christian Women supports the parish spiritually, socially and financially. 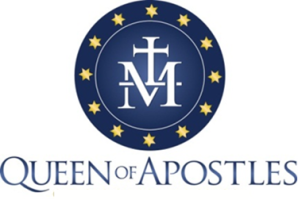 Our goal is to help women of the parish grow spiritually through the annual retreat weekend, motivational speakers and our prayer line (both phone and email). Last year, our membership increased. Socially, we offer women of all ages an opportunity to get together and build camaraderie and understanding. Financially, we will continue to support the scholarship that helps students attend our grade school. We will continue to support the parish and school as we have in the past. Please consider joining us - Dues are only $15/year and new members are always welcome. If you have any questions, please call any of the officers.